If you are looking for something different but won’t budge down on comfort and customer service, head to the Hotel de l’Institut. Excellent quality price! The Hotel de l’Institut is based on a very unique concept in the Quebec province and is quite a nice surprise. Here the students of the ITHQ (Institut de Tourisme et Hotellerie du Québec) tend to the guests during their professional training. Their work is supervised by professionals making this governmental hotel quite unique since its creation in 1968. Despite its facade being reminiscent of a big boat, the Hotel de l’Institut counts only 42 rooms and is even a member of the Small Hotels Association of Montreal. The establishment showcases Quebec’s know-how and was renovated in 2010 with amazing results in the rooms and the lobby. 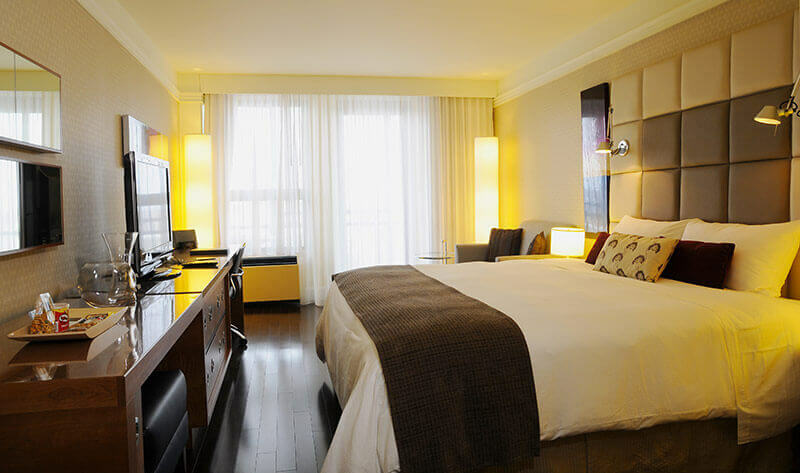 It’s hard to find a better deal in this category in Montreal because the Hotel de l’Institut offers almost all the services of a 4-star hotel (concierge, banquets) at a reasonable rate (around $150 per night ina double room). The only thing missing is in-room service. 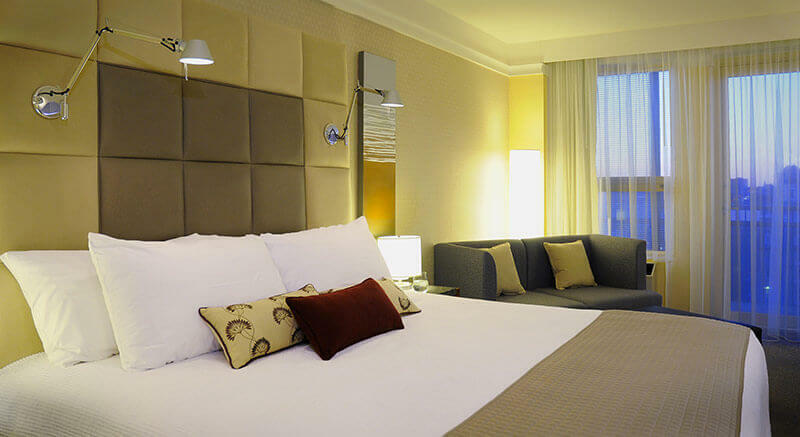 Located right in the ITHQ building, the rooms are on the 7th and 8th floor of the establishment and all feature nice views – either of the Plateau or of downtown. The decor is chic and simple, the furniture and the toiletries are made in Quebec and the hotel is really involved into sustainable development. 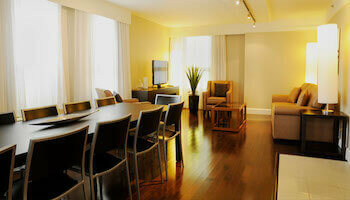 All the rooms have wifi, a small fridge, and a balcony that you can use which is quite rare in Montreal hotels. Another rarity in Quebec is that breakfast is included in the price of the room. It is served in the restaurant of the Institute on the ground floor of the hotel. The restaurant also features Quebec cuisine and local products, with a $20 lunch menu and a table d’hote for $48 at night (a la carte starting at $21). Finally the other great feature of the hotel is its location: the hotel is right on Saint-Denis Street, a long and busy artery with many coffee shops, restaurants and boutiques that connects the Latin Quarter and the Plateau. The hotel also faces the Square Saint-Louis, a nice park to take a break under the shade of the trees during hot summer days. The hotel is right above the Sherbrooke metro station (line 2 – Orange) and a Bixi station (the city’s bike sharing program).